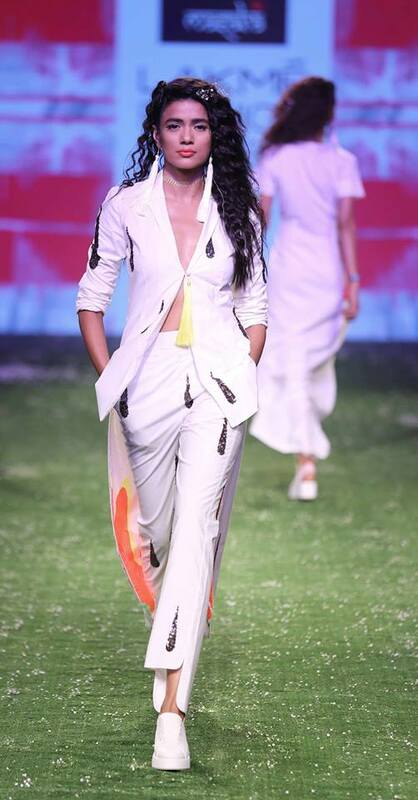 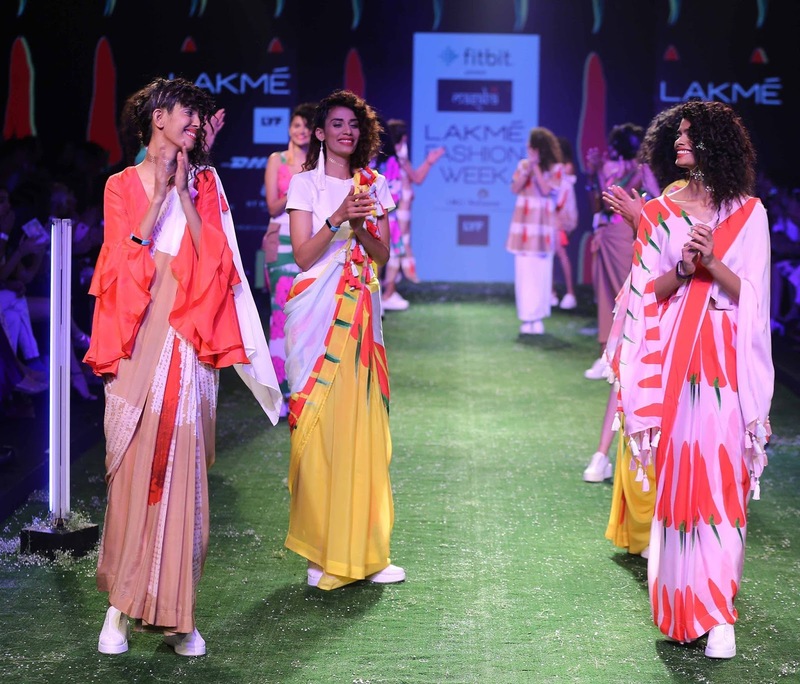 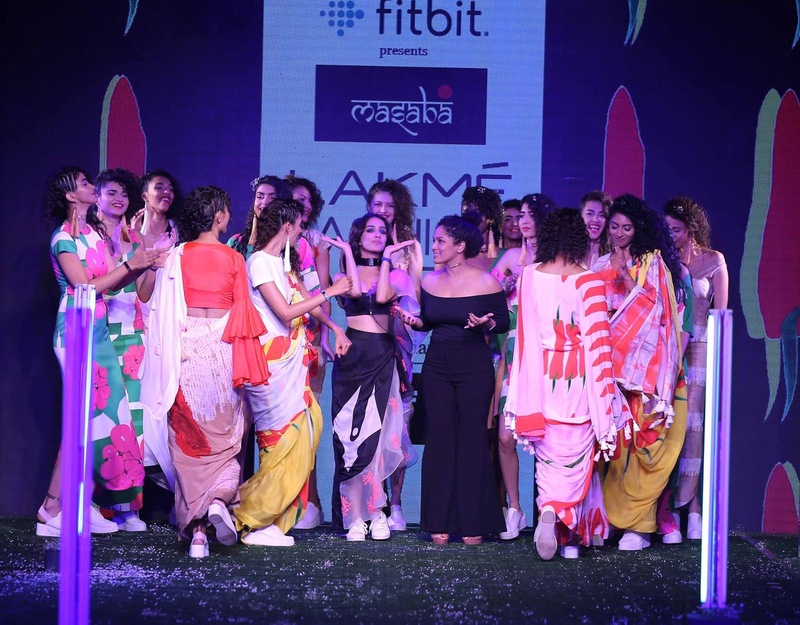 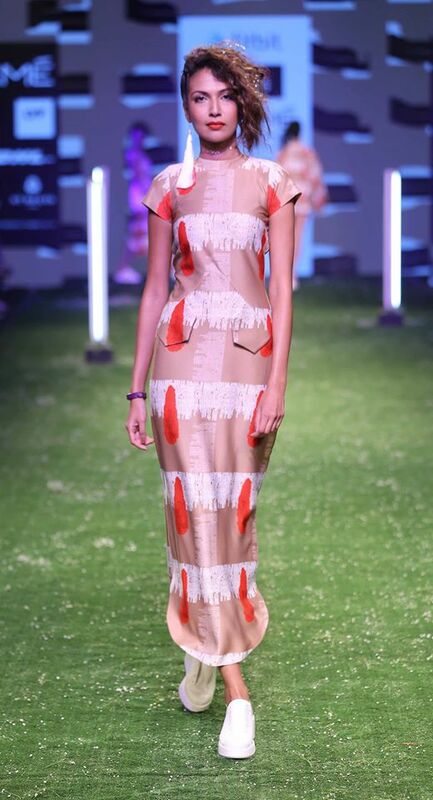 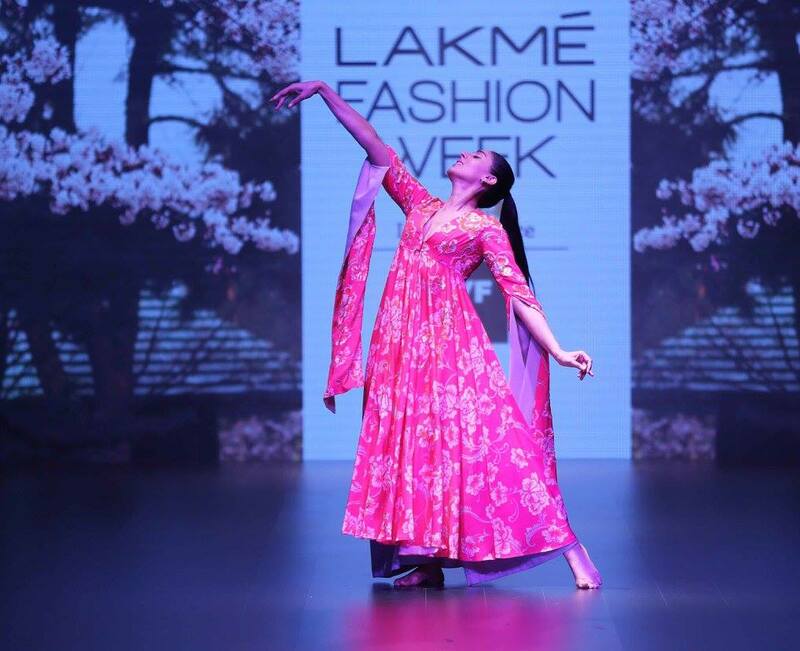 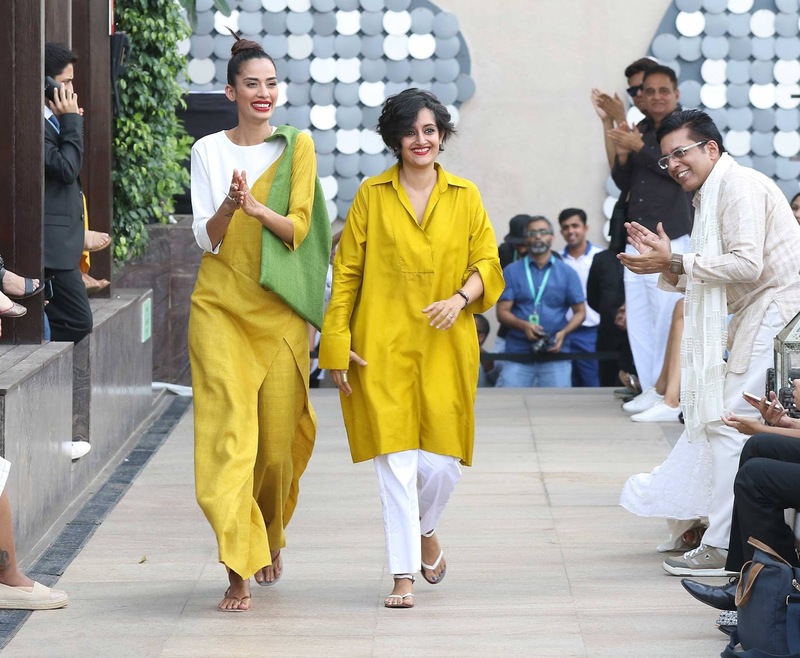 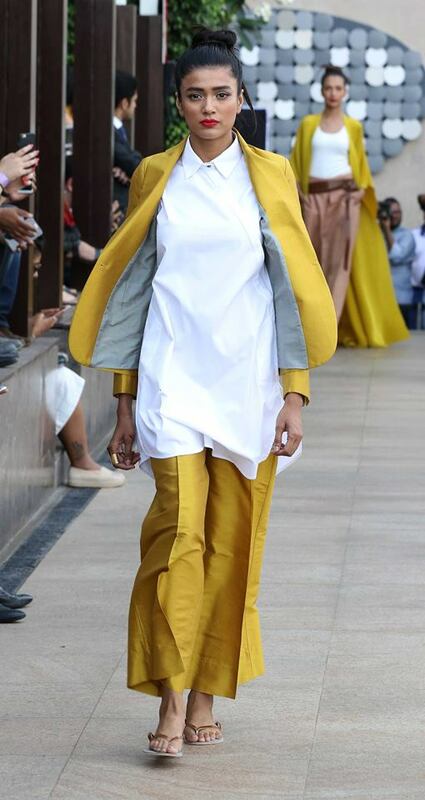 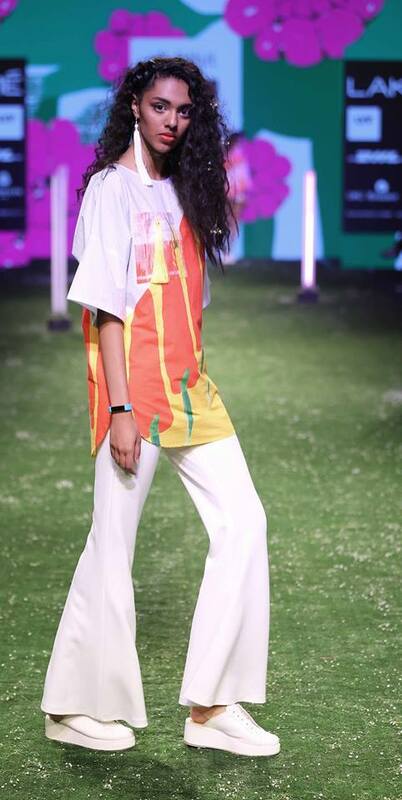 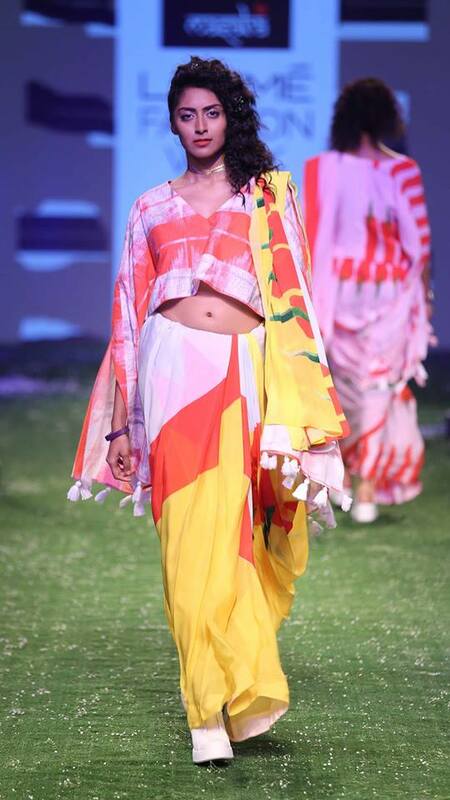 Designer Masaba always creates interesting collections that have an influence of the latest Western trends mixed with Indian trends, and of course her signature quirky touch. 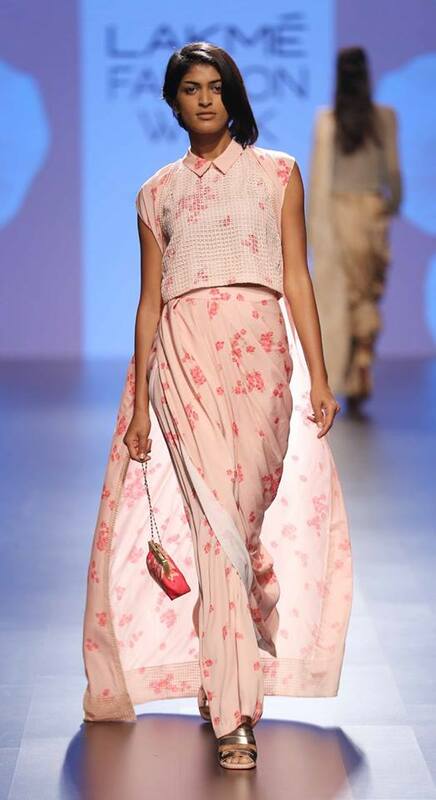 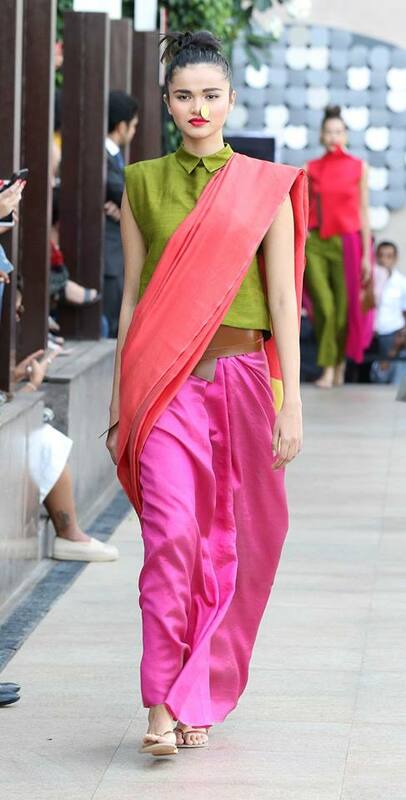 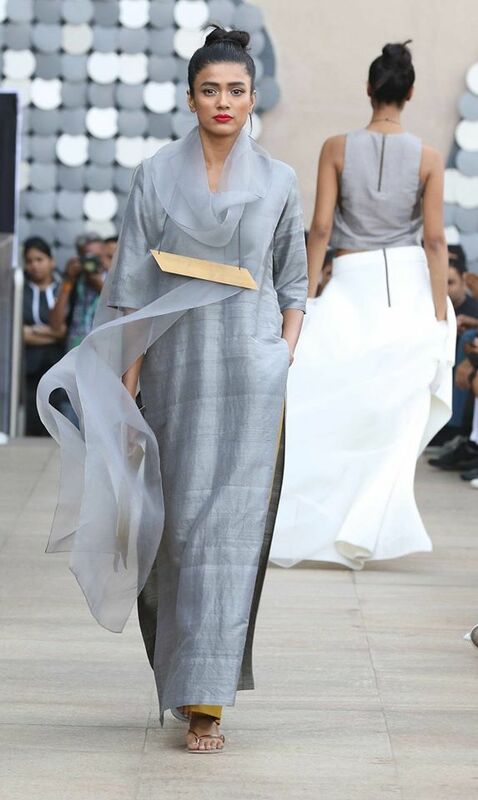 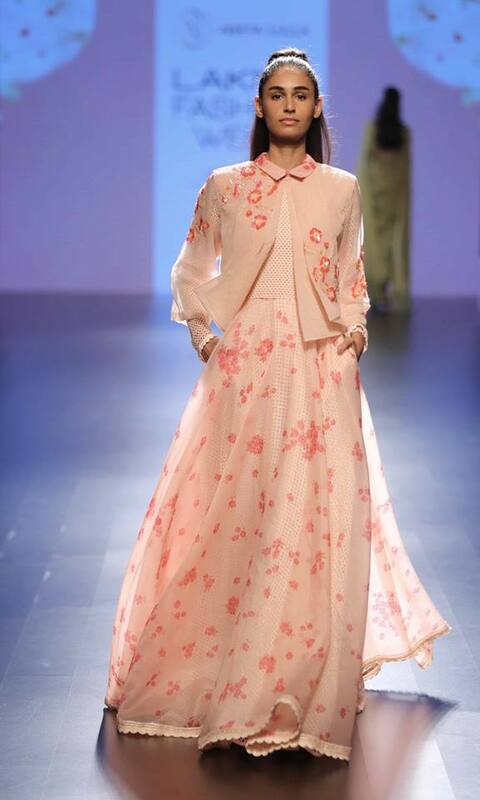 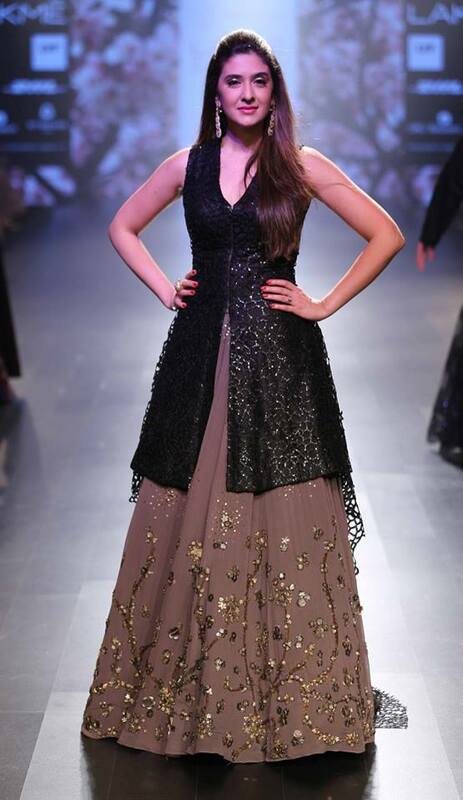 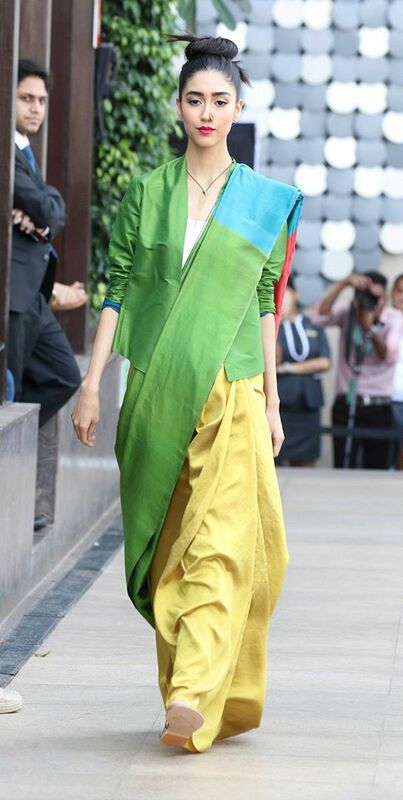 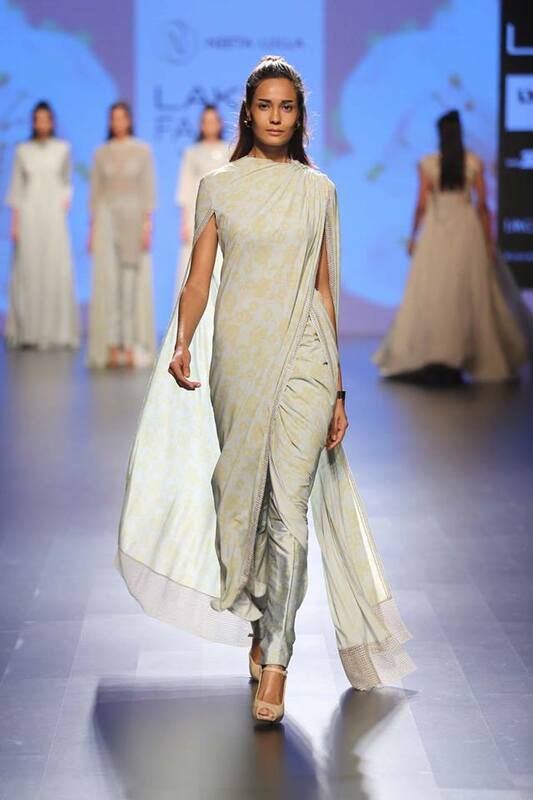 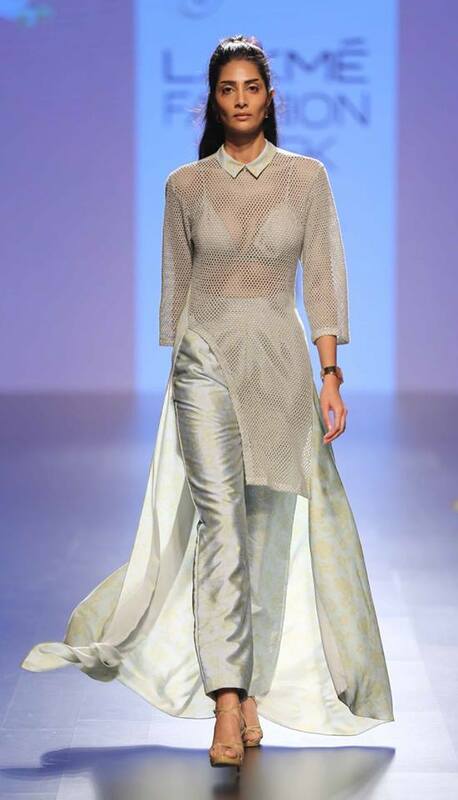 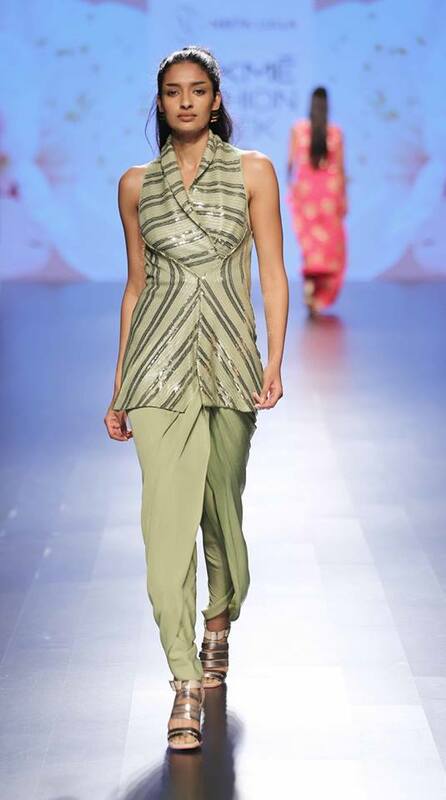 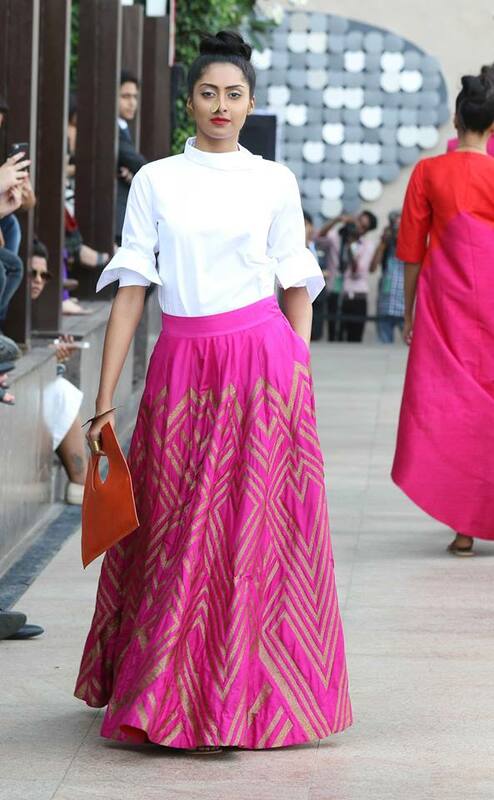 In this collection we see flared trousers with tunics, and sarees styled in a unique way. 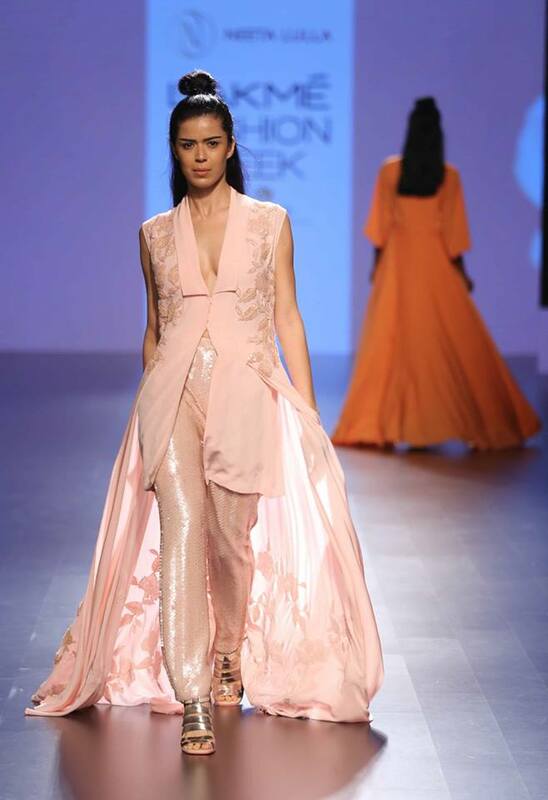 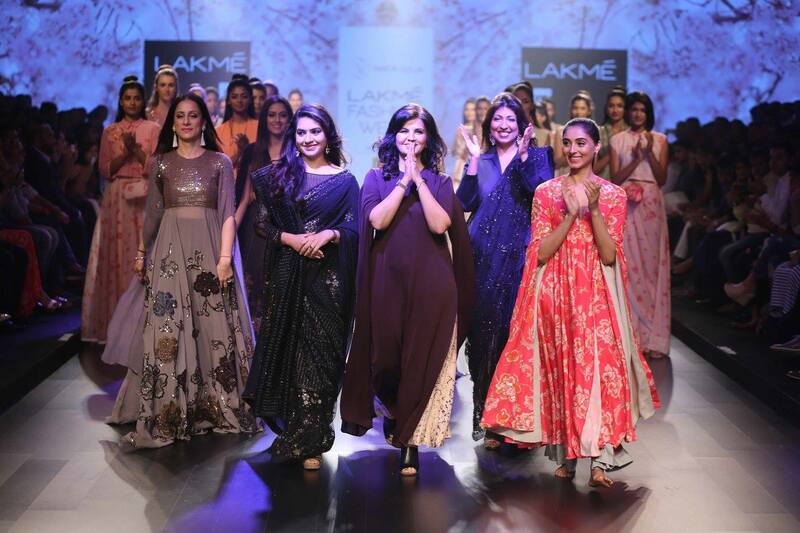 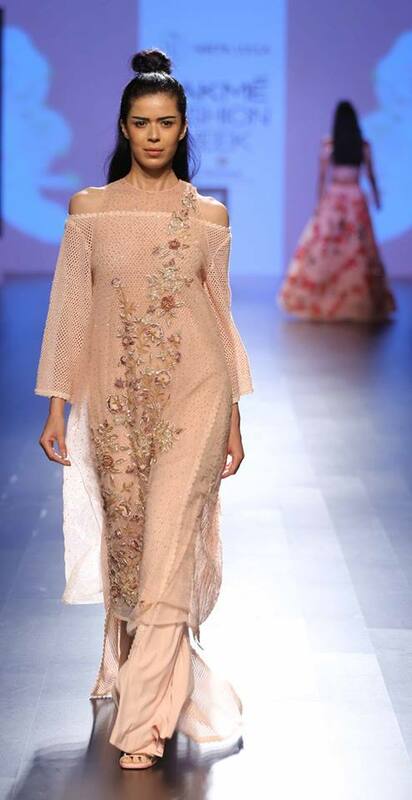 A pretty collection, the pieces feature long capes and loose knits over top of Indian style silk trousers and lehenga skirts. 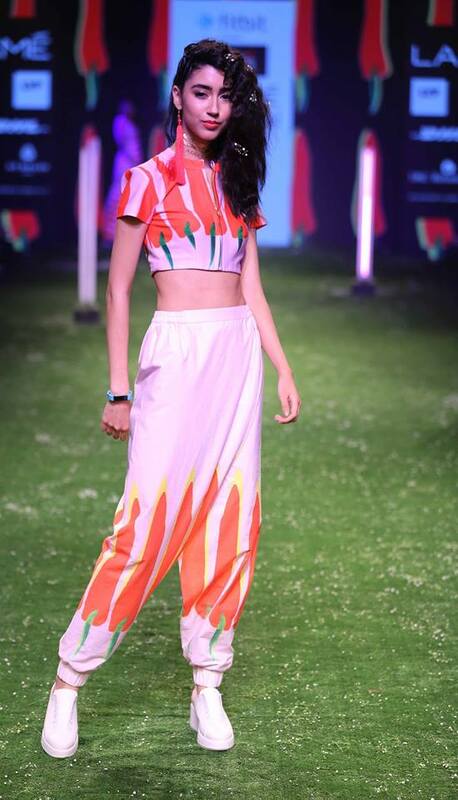 Off-shoulder blouses are continuing to be huge on the runway, along with 3D florals.